Counter-terrorism agent Josette Horvath leads the investigation, trying to decide whether it is linked to a terrorist suspect she is trying to track down, who calls himself the Scribe. But her world is torn to pieces when another bomb goes off in Washington DC – and this time her son’s nursery has become collateral damage. Now the investigation has become personal. And Josette will do whatever it takes to track down the killer. But who is the Scribe? And is he the mastermind behind the recent bombings? Or is another deadly force attacking the US from within? 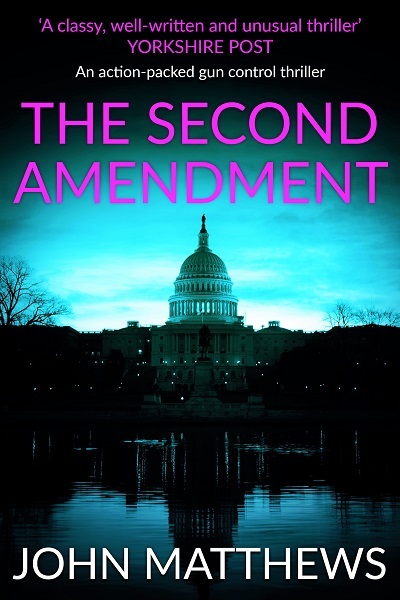 The Second Amendment is an explosive, uncompromising thriller by John Matthews.